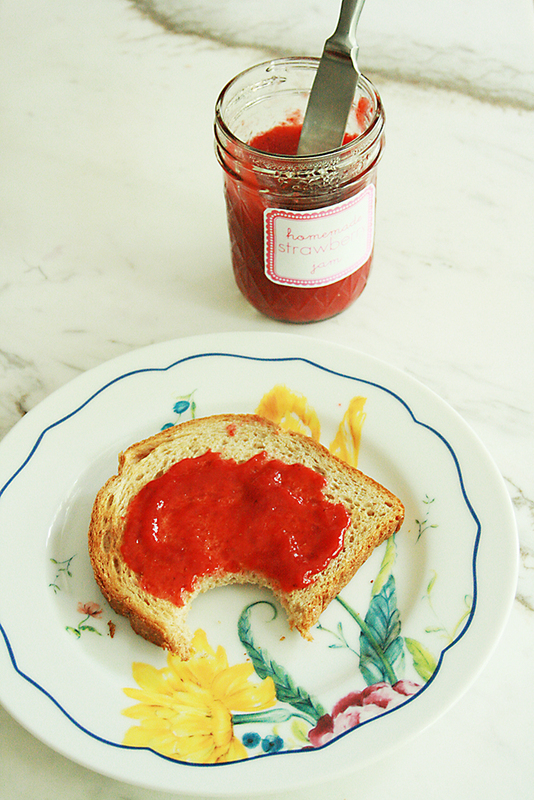 It’s a rule in our house: when you pick strawberries, you have to make grandma’s homemade strawberry jam. Because every bite is just so good. 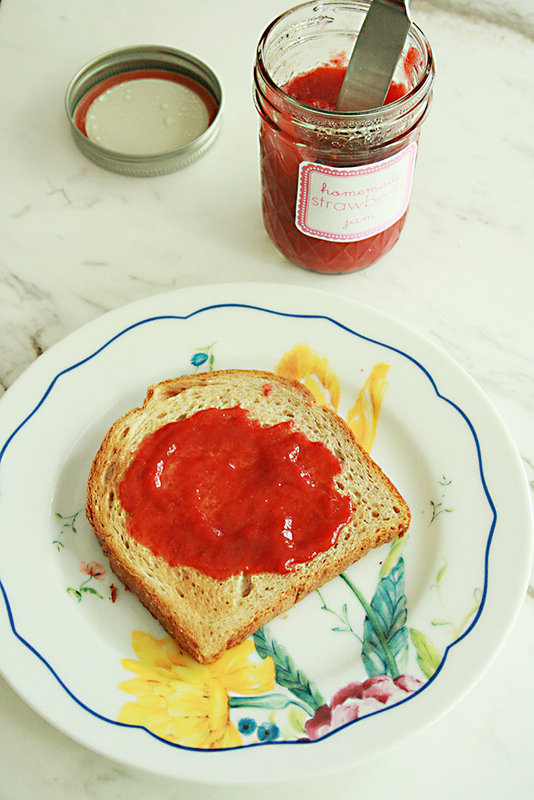 On toast, ice cream, bagels, pB&J, right off the spoon. So, here’s the problem. At least for me, who really pays attention what I eat, the recipe is packed with sugar and corn syrup. And sugar and corn syrup doesn’t look good on me and also I don’t really want all that sugar in my kids. So, I had to tell my mom that her family recipe was going to get hacked into a healthy recipe…at least by me. For the sugar substitute, I’ve been using SteviaLeaf’s Sweetleaf, which is stevia mixed with raw cane sugar. Raw sugar is healthier than refined sugar because it hasn’t been processed with additives and easier for body to digest. If you are familiar with the taste of stevia, it usually leaves an aftertaste but I haven’t noticed that with Sweetleaf. I like how I can use it for baking. 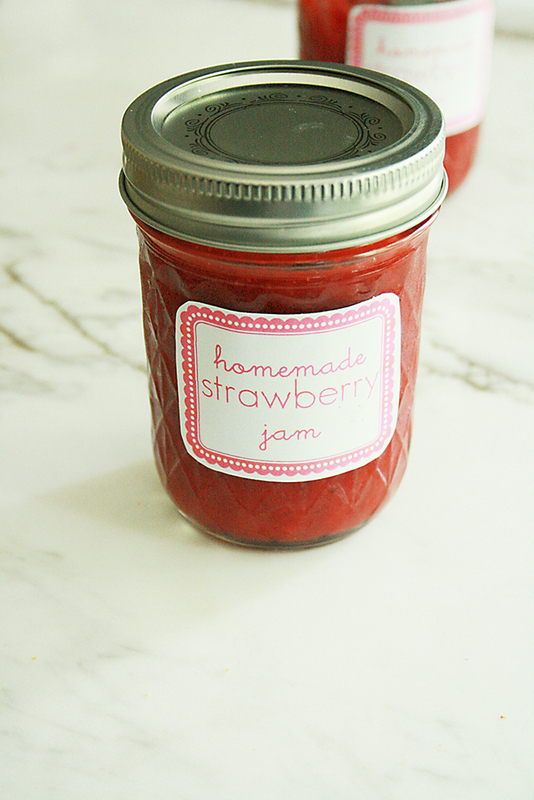 After you make this yummy, healthy jam, don’t forget to print up the labels. 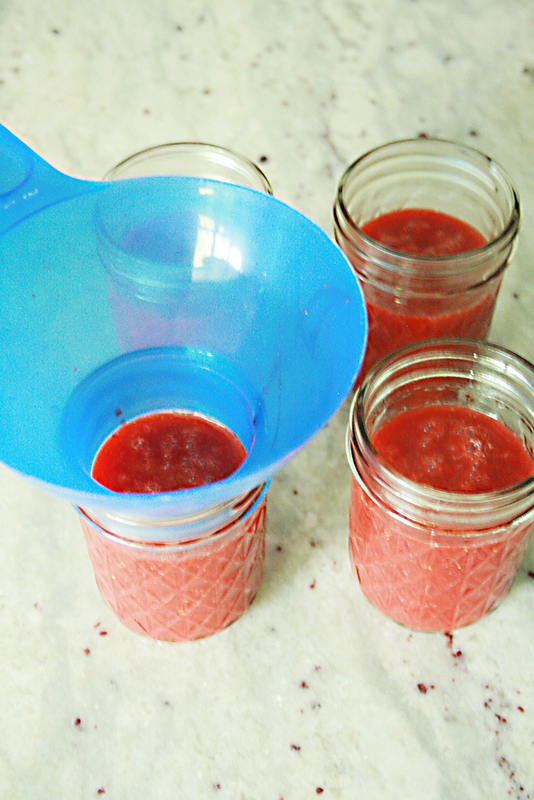 Combine crushed strawberries, juice concentrate, water, lemon juice and sugar until it dissolves. Slowly heat medium on stove and add fruit pectin. 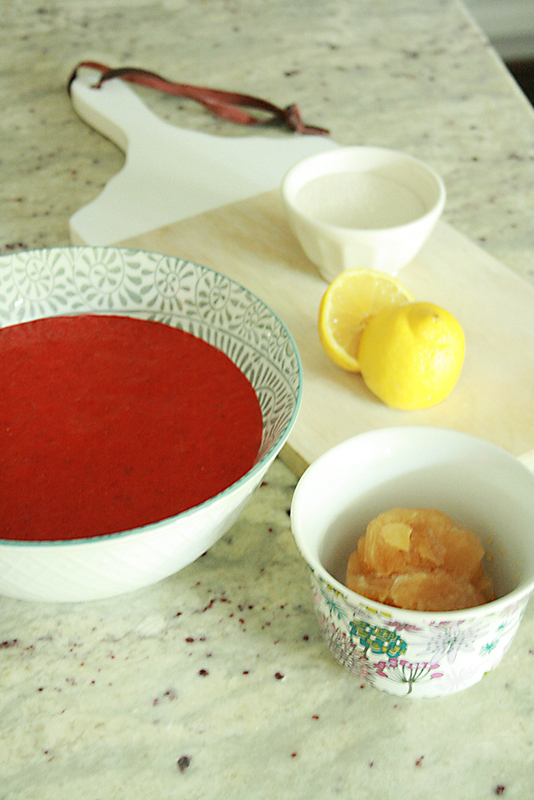 Follow the instructions for pectin. Pour into prepared jars. 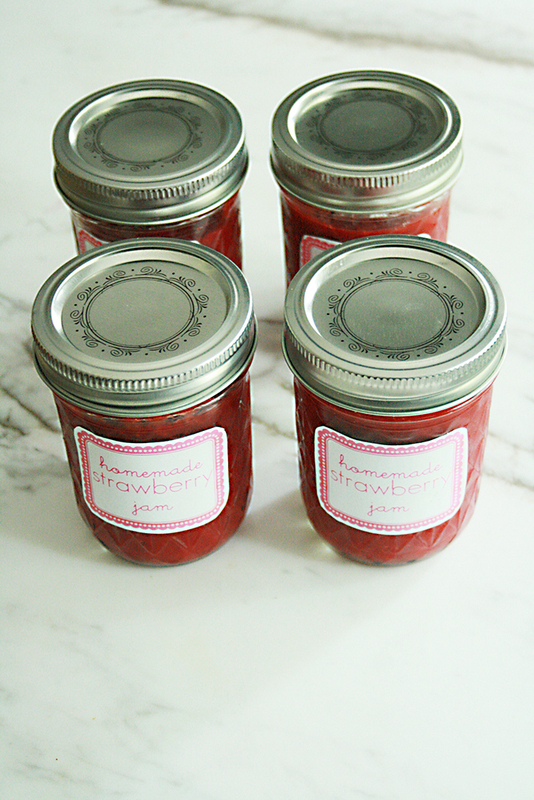 Leave 1/3 space if you plan to freeze so jam can expand. Refrigerate until cool. Label, then freeze.